Most Christians do not have a problem understanding the grace brought to us in salvation. The problem that I find with myself and many other Christians is that we fail to realize that the same grace that saves us, also teaches us to grow. Once saved, we can fall into the trap of religious performance. Performance is rooted in comparing ourselves to others. We can have a tendency to say things like...I am thankful my family is not like that...I would never stay home from church and watch the Super Bowl like that person. This attitude produces pride in our life. It is dangerous to compare ourselves to others. God can see our performance and looks straight into our heart. Growth that is produced by grace is born out of our love for Christ. Our standard of righteousness is an almighty God not one another. The holiness of God should drive us to our knees in humbleness. In return, we strive to live a more sober, righteous, and godly life. I am so thankful for the grace of God that seals me until the day of redemption. That is why it says in Titus 2:13-14, Looking for that blessed hope, and the glorious appearing of the great God and our Saviour Jesus Christ; 14 Who gave himself for us, that he might redeem us from all iniquity, and purify unto himself a peculiar people, zealous of good works. The same grace that saves us is what sustains us and enables us to grow. It teaches us how to live here and now – without performing! 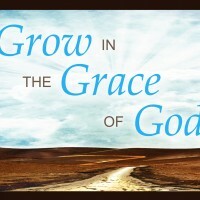 Lord, help us to remember that grace enables us to grow but religion expects us to perform. I am reminded of the words of the song by Casting Crowns entitled "Who am I?"